Coronary artery bypass graft. 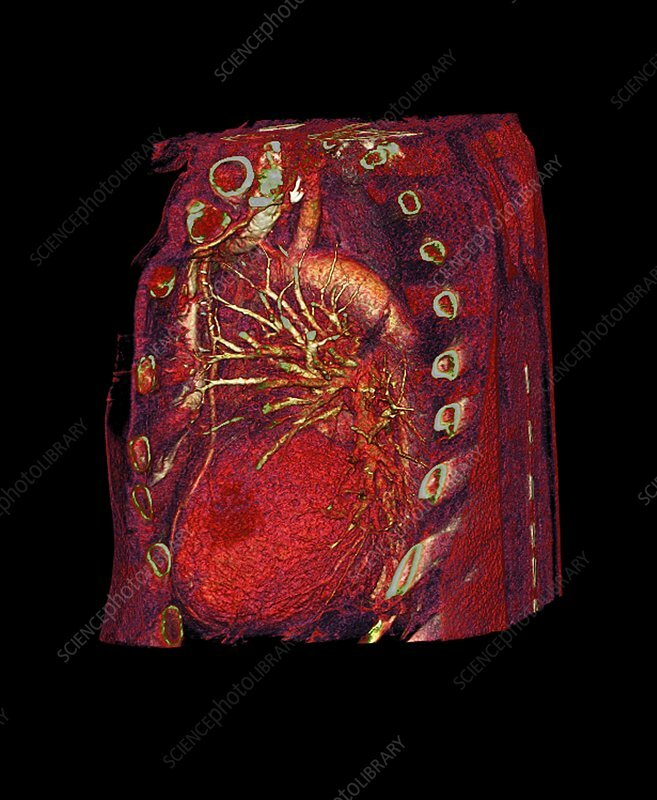 Computed tomography (CT) scan of a heart where a left internal mammary artery (LIMA) graft has been applied in coronary artery bypass graft (CABG) surgery. In this procedure, an artery from the chest is excised and grafted onto the heart to bypass a blocked coronary artery that can cause a fatal heart attack.